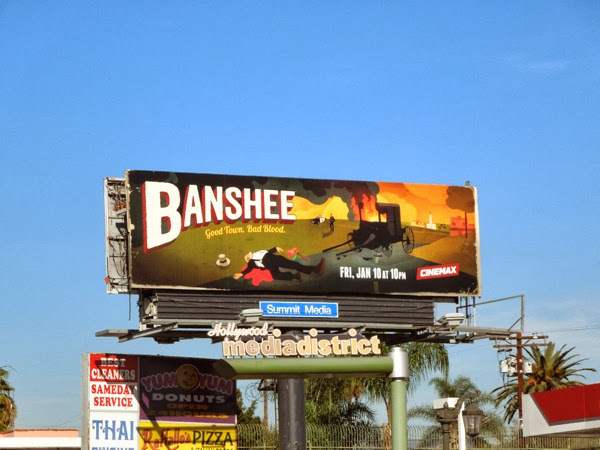 Last year Cinemax's new series Banshee was brave and original enough to sport an illustrated promo billboard, especially when the drama was a live-action show and not an animated series. This year the crime drama is back for its sophomore season with a deceptively similar ad creative (which is a bold decision), with another dead body and a bit of arson thrown into the mix. 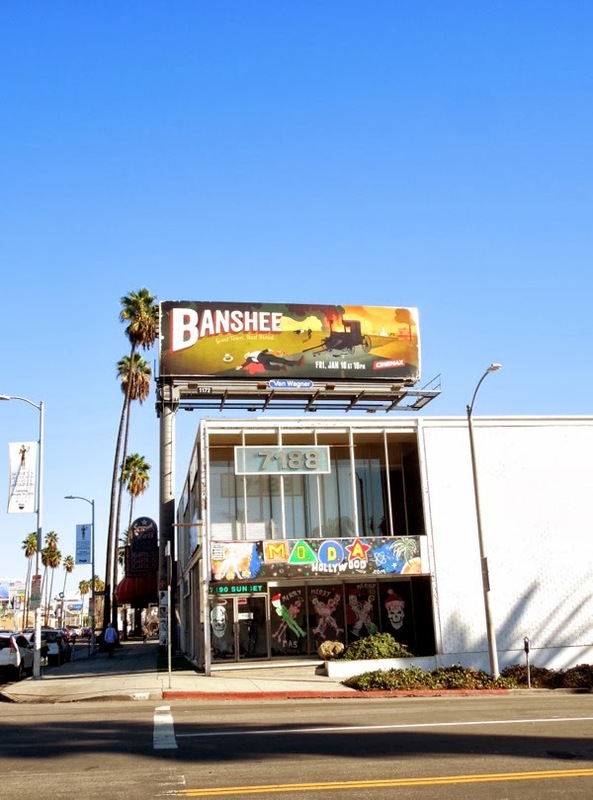 Whereas previously the show's season tagline was 'Small Town. Big Secrets', this year it's 'Good Town. Bad Blood'. 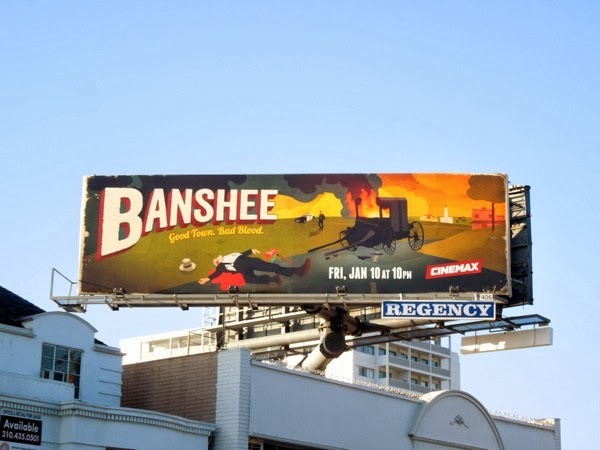 Antony Starr returns as the ex-convict 'Lucas Hood' who has assumed the identity of the local sheriff in the town of Banshee, Pennsylvania, a place full of secrets and dangerous rivalries. 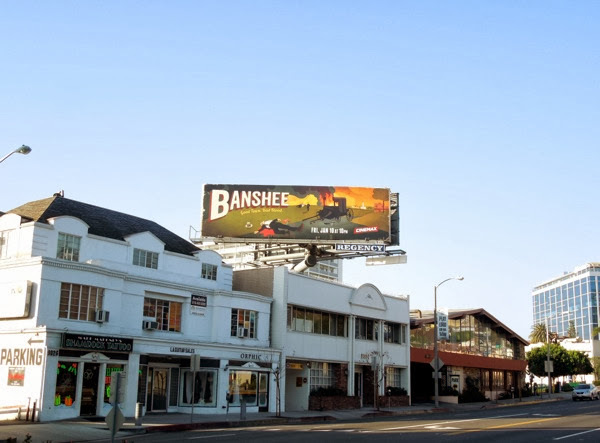 These second season billboards for Banshee suggest even more trouble on the horizon and were spied in multiple locations along Sunset Boulevard, plus along Highland Avenue on December 22, 2013. 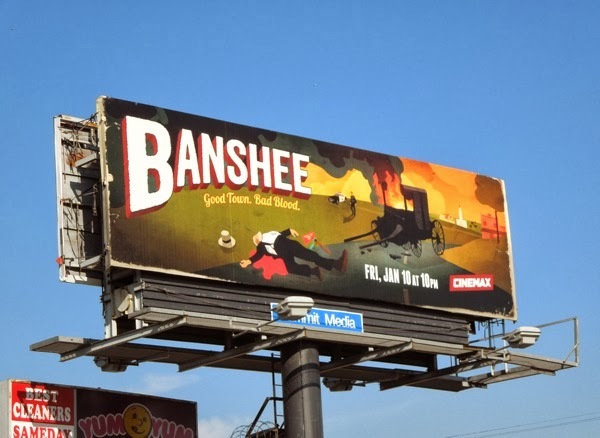 Be sure to compare this season two ad with last year's Banshee season one billboard to spot the similarities and the differences. That's it for another TV WEEK here at Daily Billboard, but don't despair, there's plenty more new shows and returning series ad creatives to showcase in the weeks to come, so be sure to join us every day.